With ExpressRenew, customers can renew cancelled or expired subscriptions within a couple of clicks, saving time and improving the experience particularly on mobile or key-less devices. The less time the customer spends inputting payment details, the more time they have to enjoy the web app, service or content they are subscribing to and in turn increases the revenue potential. Cloudware Hosting Ltd, the revolutionary new company that provides a unique all-in-one marketplace, recurring billing, management and authentication platform for selling subscriptions to cloud based content or apps, announces an update to the Cloudware City Web App Store to make it even easier for customers to renew cancelled or expired subscriptions. ExpressRenew is based around the underlying recurring subscriptions billing technology within Cloudware City, which is already proving to be popular with customers who are given the full control over automatically renewing subscriptions at the touch of a button. Before ExpressRenew, customers would need to enter all their payment details again for any expired subscription, even if only seconds had elapsed since expiry. ExpressRenew now reduces the customer workload to a single click and confirmation of order. Error handling of payment issues are taken care of automatically by falling back to payment detail acquisition in rare cases such as payment card declined situations. Designed with the shorter duration subscriptions in mind (e.g. 1 to 7 days) the technology allows customers to quickly buy a repeat subscription within a couple of clicks, particularly helpful for mobile and keyboard-less devices where entering customer card details can be a cumbersome task. The Cloudware City ExpressRenew feature is currently available for up to 30 days after expiry of a subscription. Perfect for online web apps and membership websites, after a quick, less than three minutes sign up, Cloudware City provides everything necessary to start signing up customers who are then billed to access the website or content. All major credit and debit cards are accepted, no special banking arrangements are required and the only thing the website owner need decide is where they want their money sent. 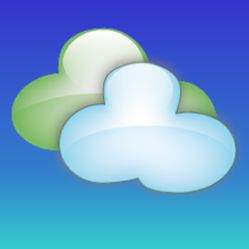 Cloudware City was set up specifically to address the billing and subscription needs of online content providers. Cloudware City uses the latest web technologies to provide easy, seamless access to a fully featured subscription billing and authentication management platform. Delivering easy to use subscriptions billing to content providers of all sizes allows the content providers to concentrate on their own business whilst Cloudware City handles subscriptions. Hassle Halved - Success Shared.